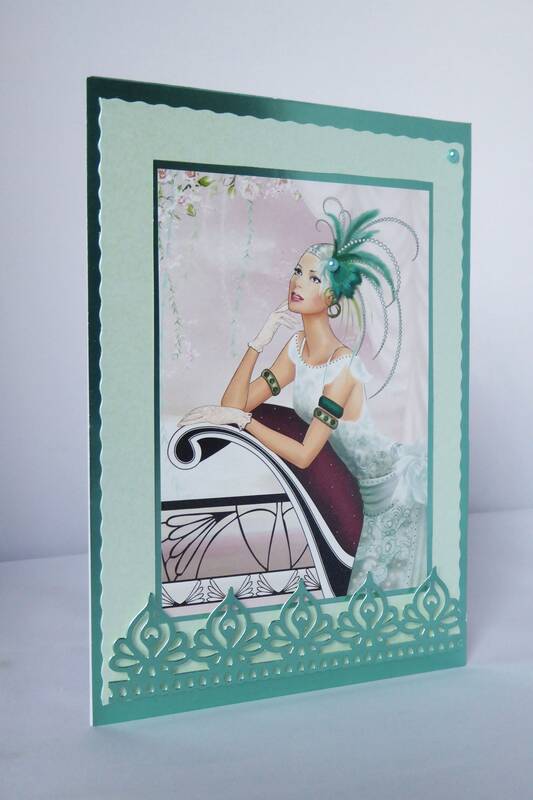 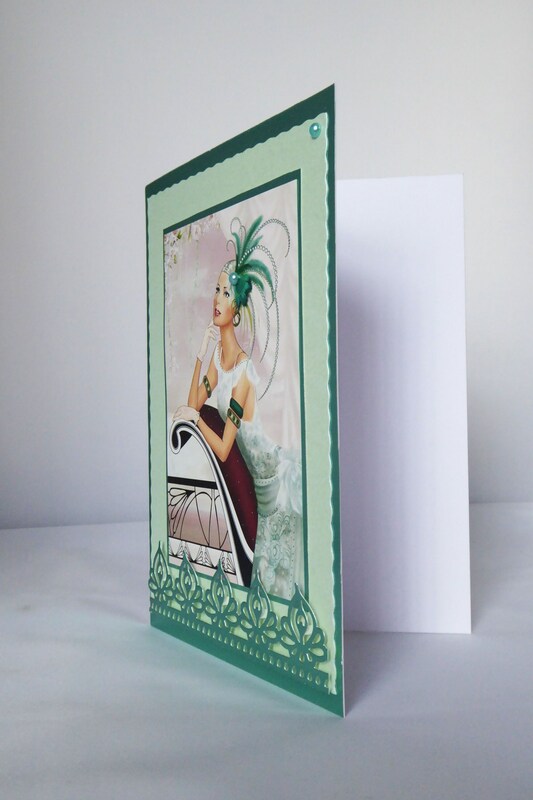 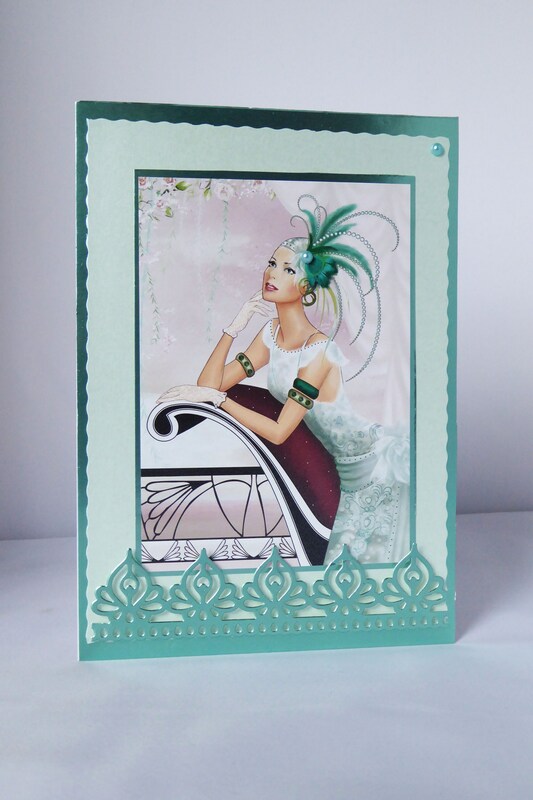 Art deco style card made from white base card and layered with geen metallic card and green card with a topper in the centre. 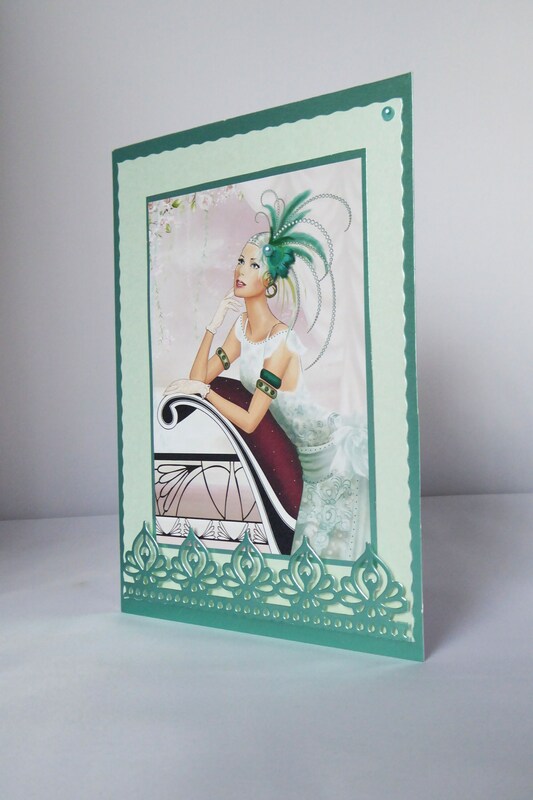 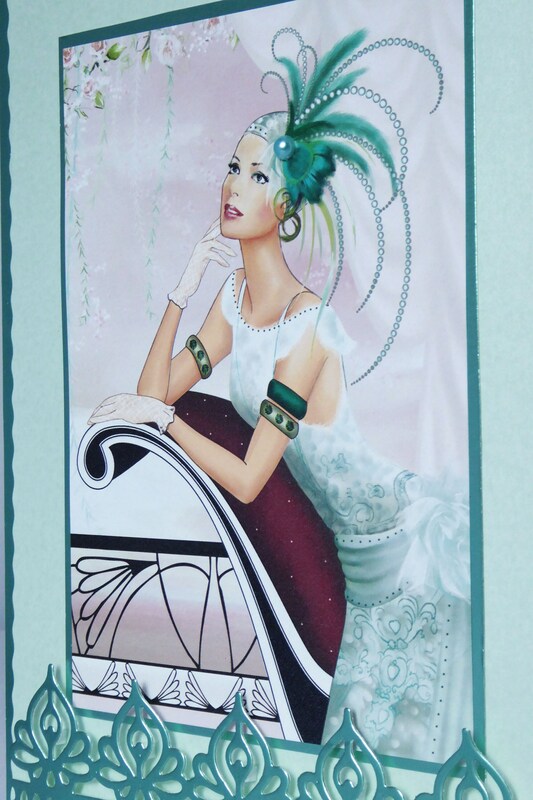 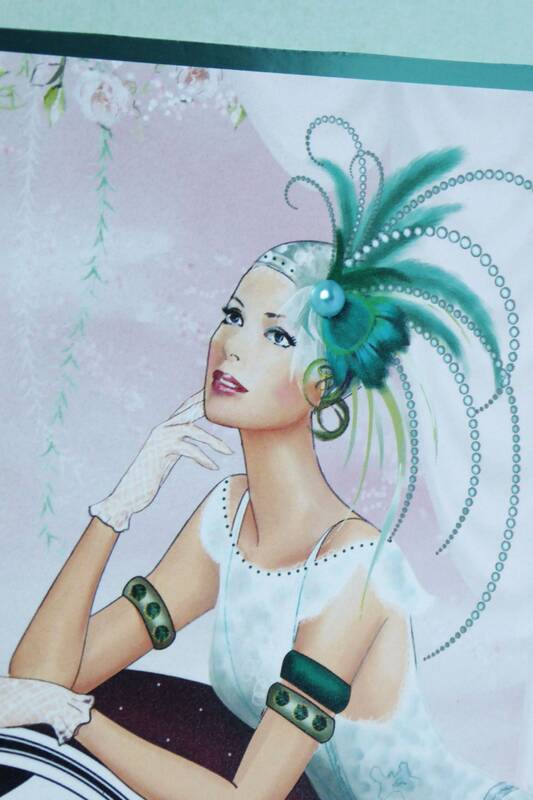 To pearl embellishments one on the ladies headress and the other in the top right hand corner of the card. 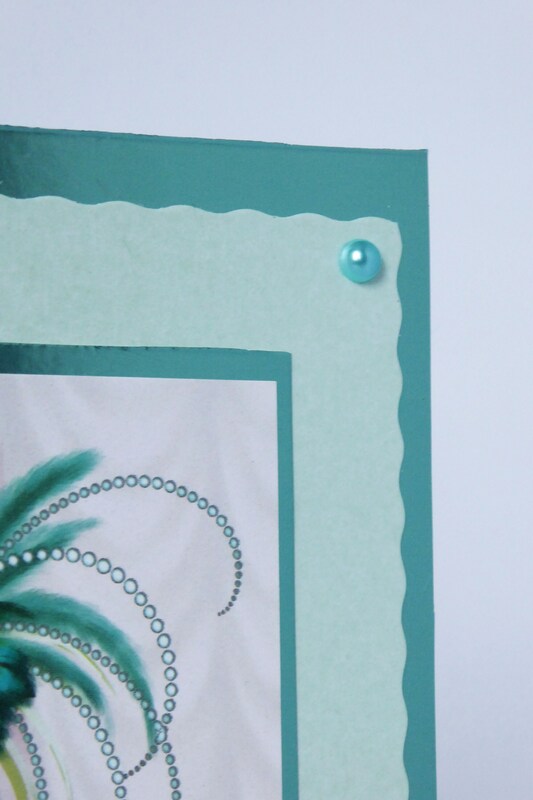 At the bottom of the card is a die cut decoration. 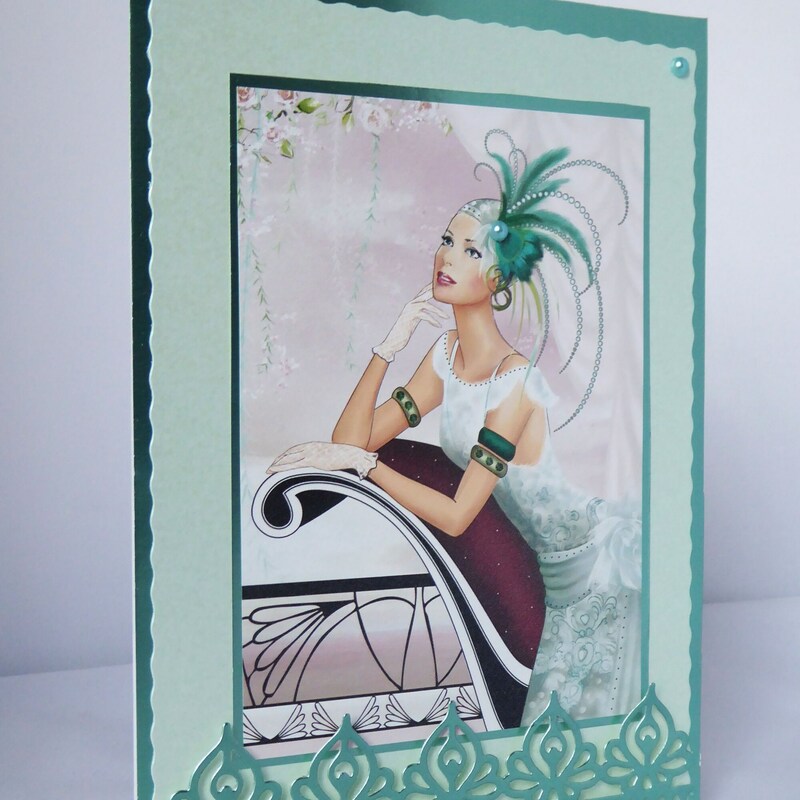 Inside the card is white insert paper for you to write your own personal message.